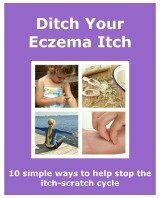 And What Makes It A Good Choice As A Natural Eczema Treatment? What is tea tree oil and how can it help in the treatment of your eczema? 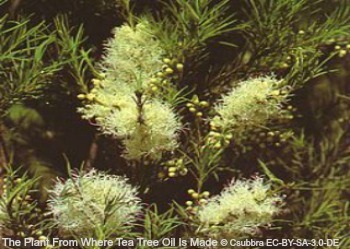 Tea tree oil is an essential oil. It comes from the leaves of the Melaleuca alternifolia plant. This plant comes from Australia. For many years aborigines used the oil to treat many different conditions. Tea tree oil has some great qualities that may help to improve different ailments, including eczema. Tea tree oil can be used in several different ways. You can mix a few drops of tea tree oil with a carrier oil, or base oil. A carrier oil is added to an essential oil. It dilutes it and helps it to absorb into the skin. The carrier oil you use can be one that is also beneficial to your eczema. A good choice maybe lavender or olive. For mixing with a cream or oil there are measurements you can use to make the right dilution for eczema. It is recommended that a 5% solution is used. So for example for every 1 teaspoon of tea tree oil, you would mix it with 20 teaspoons of the carrier oil or cream. Before buying them it is a good idea to check the other ingredients in a product. Look for any ingredients that may cause your skin to get irritated. You cannot take tea tree oil orally. If you do, please seek medical help immediately. When using tea tree oil initially it is a good idea to use it on a small area first. This will help to determine whether it will cause any skin irritation. If there is no reaction then you can carry on using it, but it is still recommended that you continue using emollients and topical corticosteroids when they are needed.